1. First off, how fun is your new page on Sarah Richardson's website? Love the questions and answers at the end! Would you mind sharing with our readers how you got started in interior design and why? I LOVE the page Sarah's web team devised for me. Her husband, Alexander Younger's company Design Lab is behind it. They've been winning awards for the site since it's relaunch in June. The whole site was 18 months in the (re)making, so the accolades are well won! I started out in retail - which I jumped to after a stint as a waiter. Both prepared me in immeasurable ways for the career I'm in now. What we do is essentially the service industry, so waiting tables and my experiences (especially at the holidays…or as I called them the 'holy-sh*tdays') in upper-end retail were an excellent foundation. The shop I trained in is called L'Atelier. It's widely considered to be Canada's most beautiful home furnishings store. The proprietor, Youssef Hasbani was someone I sought out. I knew that if I could work along side this 'master of the mix' as House and Home mag dubbed him, I could set the stage for my next steps with knowledge and skill under my belt. I will always be grateful to him for his generosity and training. At about the same time Sarah scouted me out of L'Atelier to join her firm (and television production, 'Room Service') the legendary magazine editor Meg Crossley began to recognize my emerging talent and mentored me in publishing my early design work. The magazine publishing (this was pre-internet - gah!) along with my work through Sarah Richardson Design put me on the proverbial 'map', and the rest as they say, is history. Or at least I hope the work is good enough to be of historical interest one day. That's the goal. 2. At IDSwest this year you talked about “managing the mix, exploring how collecting and living with antiques can be as fresh and youthful as you are!” If you could offer up one tip when mixing the two, what would that be? COURAGE! Billy Baldwin said, "a person with real flair is a gambler at heart". We have to have the courage, stamina and wherewithal to stick to a unique vision. A singular point of view. One's home must be a PERSONAL reflection of it's inhabitant(s). And - the truth is, that takes guts. Someone will always be there to tell you you're making a bad choice or doing it wrong. My advice is to finish up before showing anything to anyone. Especially "frienemies" and Mothers in law. Trust me on this. 3. When I look at spaces you’ve created they remind me a bit of a well dressed man’s suit. Tailored, interesting textures, with a splash of fun (like the checkers on a bow tie). How much of fashion is influenced in your work? In what I create; fashion is everything. I love fashion and in all truth, would be doing that if I weren't doing this. The two disciplines are so similar and draw on all the same principles. One of the greatest joys of my adult life has been watching my sister Christie Smythe and her co-designer Andrea Lenczner achieve such success in the world of Fashion (their label is Smythe les Vestes). We talk all the time about colour, fabrics, hardware, line. If I'm given a 'second act' it could well be a late-blooming career in mens fashion. I wouldn't rule it out. 4. We all love watching you and Sarah create spaces out of nothing and making them feel lived in and authentic. What is your secret on keeping things real? The secret is no secret. Authenticity and comfort comes from achieving a balance between new and modern convenience and history. 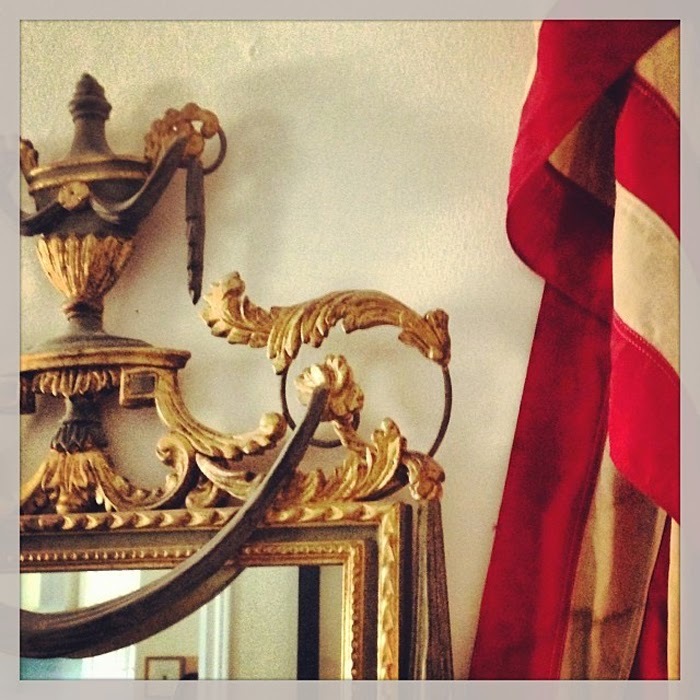 Vintage and antique furnishings, art and decorative objects will always add a little soul. Mix them with good quality natural materials in layered textures and you're there. This is achievable at any price point. Anyone who says otherwise is either too lazy or too impatient. Impatience is the MORTAL enemy of good design. 5. 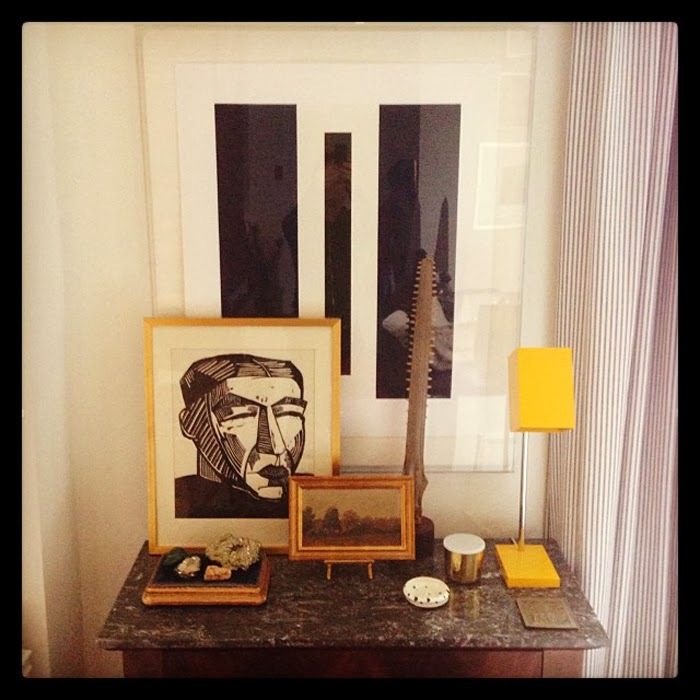 What are your tips for those wanting to create a room that feels curated and with a sense of personal history? The only way to do it is to look within. Or, in my case, where clients are involved I have to probe. Who are these people? What do they consider nostalgic? Where are they from? What do they respond to in the realms of art, colour, music? Asking these questions of yourself, or those you serve will yield answers that will directly inform nearly every element in the decoration of the home. To be honest, every once in a while, the answers lead to a parting of ways too! A good fit in design, as in fashion, is critical! 6. I love that you’re on instagram! It gives us insight into your creative world. Who’s feed are you following lately, any recs on the design front? I LOVE instagram - I'm obsessed! I follow a lot of fashion designers and decorators, but I also love to creep around in the odd celebrity profile too. Why not? It's supposed to be fun and it's supposed to be about sharing. I don't understand these "this user is private" people! Why bother if you're not sharing?? Instagram is perfect for types like me. It's visual, it's instantaneous and it allows me to connect. I get such a thrill when I see that people I admire like Isaac Mizrahi or Robert Couturier are following me. If you want to know who I follow…you have to follow me! It's a good list. Promise. 7. 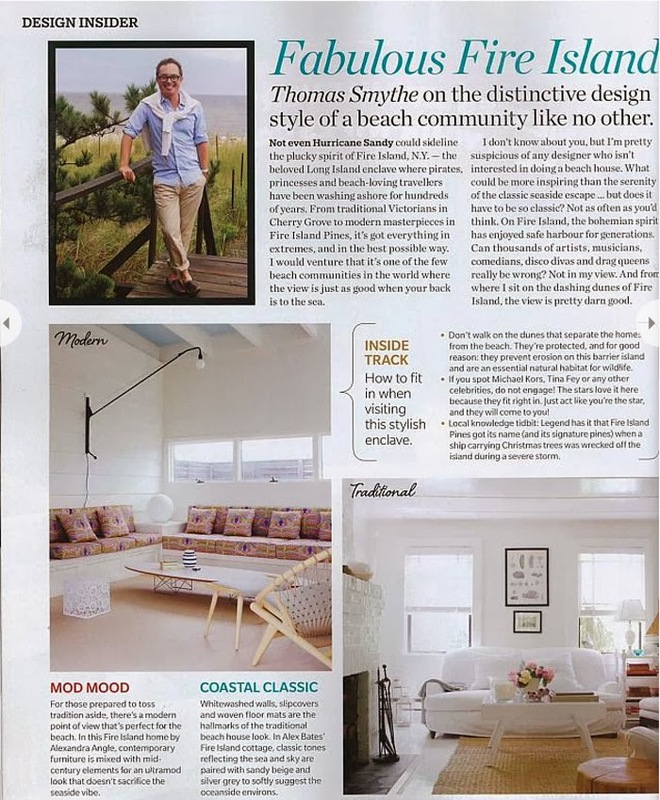 I loved your article on seaside style in Fire Island in June’s House and Home. It was a more casual/modern side of you we don’t see as often. What percentage of influence/consideration does the outside environment bring into an indoor space for you? What's outside is the absolute starting point for what is inside. We take cues on colour, texture, mood, even layout from the exterior environment. Every home should be of its place. No exceptions. There's nothing more off-putting than a Miami Vice interior found in the suburbs of Denver! Not cute. 8. What surfaces/textiles are you loving right now for the home? (Tiles, flooring, fabrics)? All of 'em! But if you insist on specifics, I do certainly seem to be gravitating toward luxurious finishes these days (what else is new??) and I think that's a reaction to the economic recovery that seems to be slowly happening. Clients are much more receptive to finer things lately - cue the hallelujah chorus! Silk velvets, mohairs, embroidery and crewel are being issued in new colours and patterns. 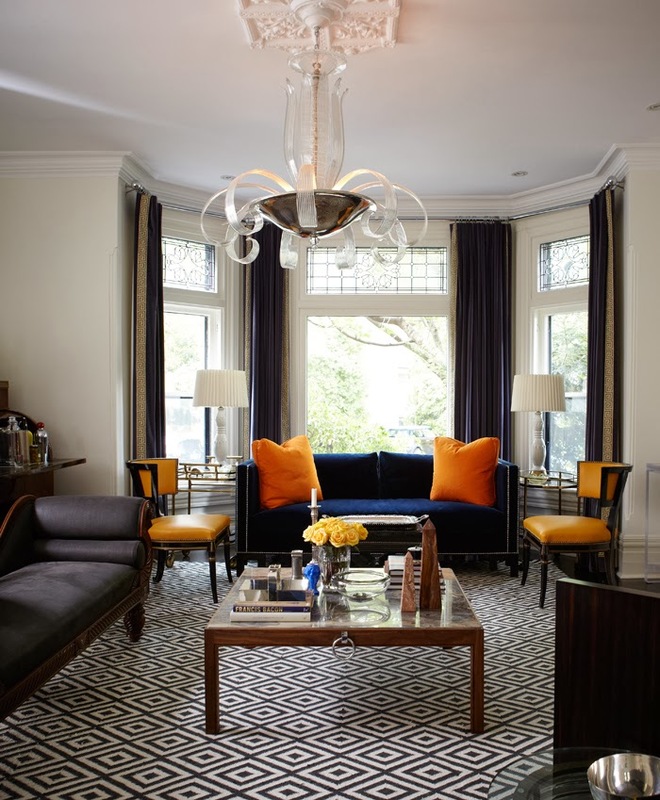 Flooring is finer and more detailed with hardwood and marble materials available in parquetry patterns or mosaic. Even in contemporary homes. The rest of the world is catching up with me! 9. And finally, what is inspiring you as you look towards 2014? 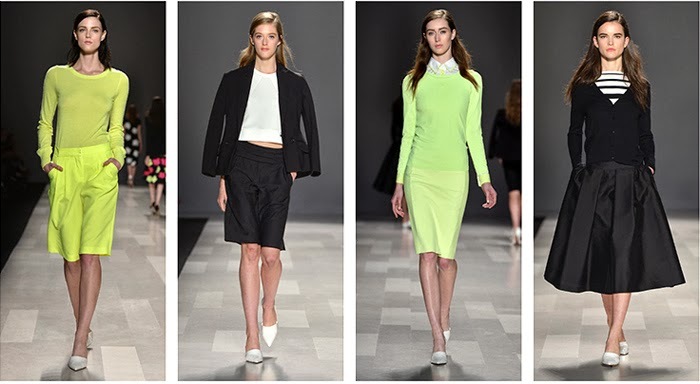 Fashion week recently presented a few consistent through-lines that I found exciting. Peach and a colour Kim Mimran of Pink Tartan calls 'tennis ball' (an acid yellow-green) were everywhere. Both are very tricky. But, as all fashion on the runway does find it's way into decor at some point, and in some way, we're going to have to embrace the challenge. There are no bad colours. 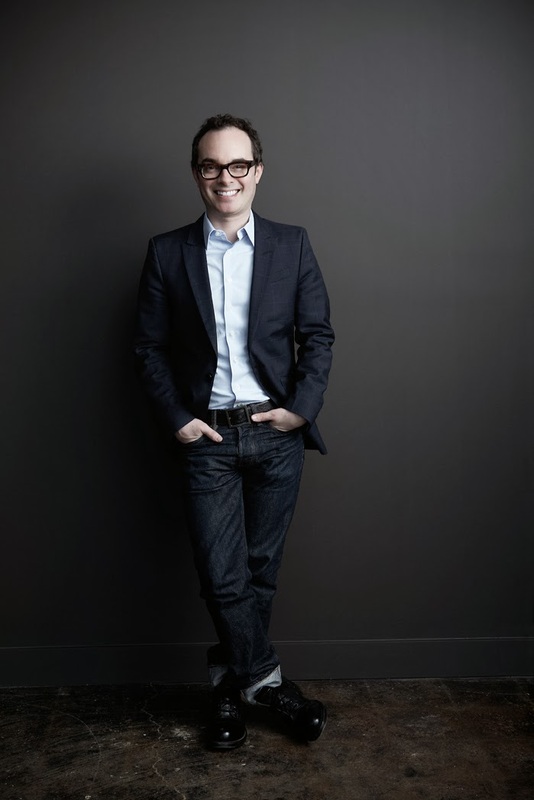 Thank you Tommy, we love following your exciting design world on Twitter and Instagram, you are such an inspiration! You are most welcome - it's a pleasure to be invited to the conversation! Sharing is everything, so you can always count on me for a little (or a LOT) of that. Have a great weekend! YAY! Love Tommy's design and perspective on things. Great interview. American audiences definitely need more Sarah and Tommy. Are you listening HGTV? I am a BIG fan of Tommy's design and his point of view mixed with humor. Am so happy to hear him appreciate fashion and apply it! Would love to see him in that "second act!"